The Cube 255 is an HD video encoder for HDMI sources. 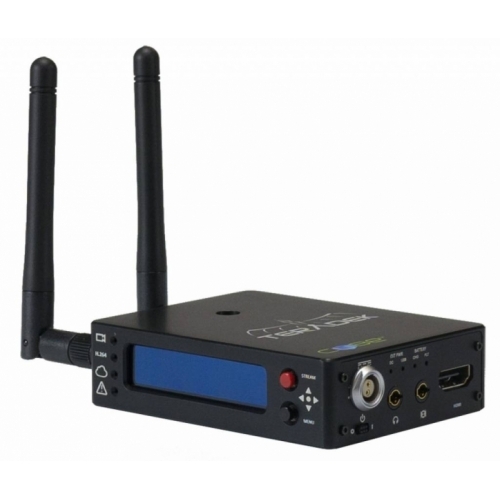 This particular unit streams via Ethernet, 2.4/5GHz WiFi, or a single 3G/4G LTE USB dongle to Teradek decoders or content delivery networks. The Cube 255 includes all of the same great features of the original Cube such as a low power compact aluminum chassis, comprehensive transport protocol support (RTP / RTSP / RTMP / MPEG-TS*), and compatibility with any streaming video platform. Cube's new OLED enables users to rapidly change and review the settings of their unit in addition to providing real-time feedback for filenames, recording status, and wireless connectivity. No longer are computers or iPads needed for configuration; every feature is a simple click away. Cube's built-in Li-ION battery will give users up to 2 hours of runtime, which allows for seamless battery swapping or quick broadcasts. The battery can also be charged from an AC adapter or even a suitable external battery such as an Anton Bauer. The new MIMO access point feature greatly improves wireless performance and enables special features such as wireless camera control for devices without a WiFi capability built in, and ensures improved connectivity from an iPad or Android tablets. Cube now comes with a headphone output for immediate audio monitoring. The micro SD slot enables Cube to save on-board proxy recordings in real time. The recorded files (.mov or .mp4) are automatically synced with your proxy server over WiFi or cellular connections. Cube's micro USB port will charge the new internal battery. The new Cube also supports dozens of Content Delivery Networks (CDNs), including Ustream, Justin.tv, Livestream, Youtube Live, and many others. 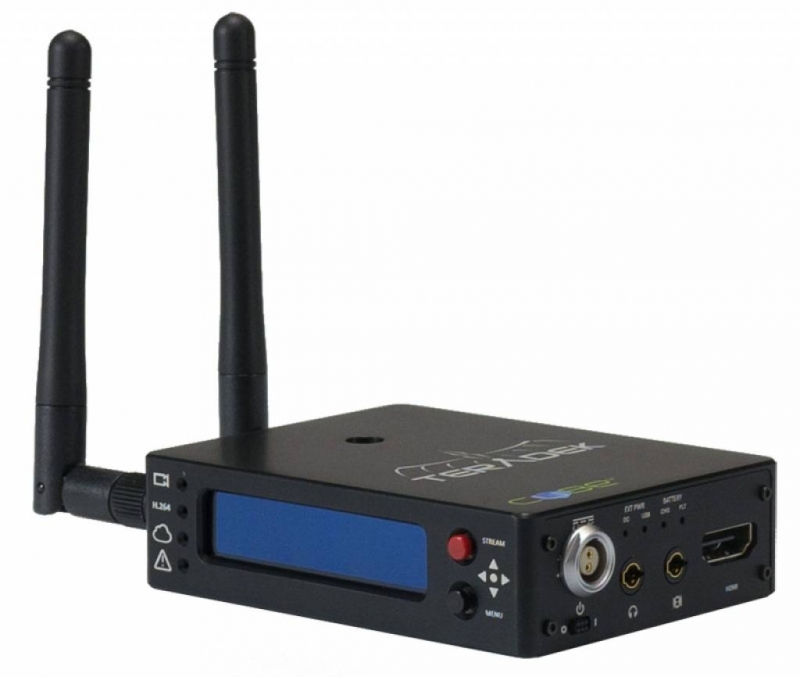 The Teradek Cube 255 is an H.264 encoder that streams HD video over a/b/g/n WiFi, Ethernet, and cellular.